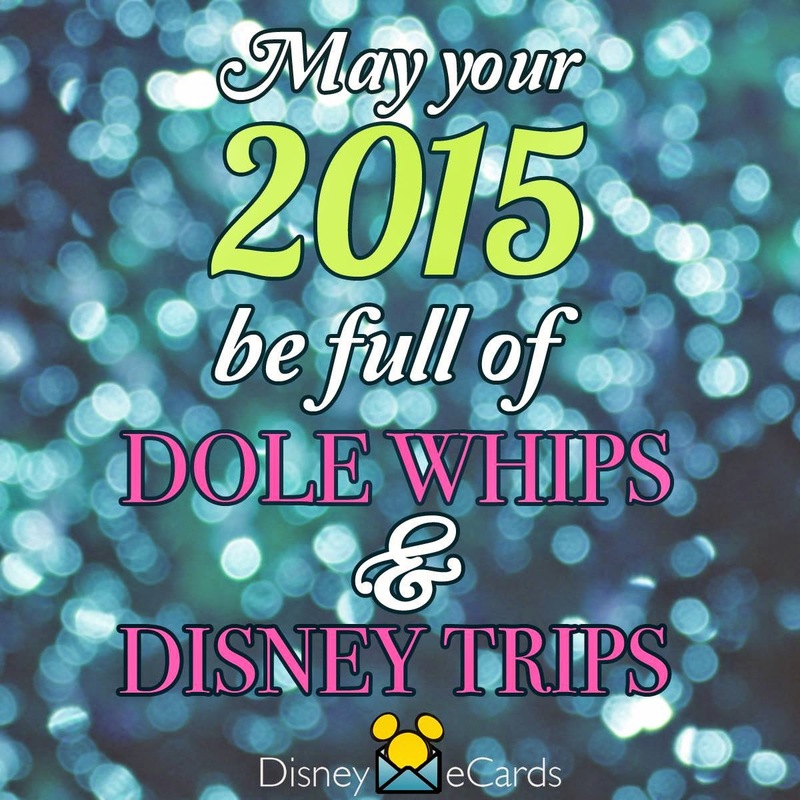 Running on Pixie Dust: Hello 2015! Every new year should begin with some resolutions, right? Well, here are the ones that I'm looking to keep in the coming year. Besides the typical Disney reviews and tips, my readers (all 10 of you!) will be able to help me stay accountable on the progress I report with each of these. Maintain balance between wife, mom, daughter, Kristi, and Assistant Principal. Juggling multiple roles can be exhausting and I want to do my best to prioritize and make time for each of these important responsibilities in my life. Run a half-marathon. After the pregnancy, I've decided to set an ambitious training goal to force me to get off the couch and back into shape. My plan is the Wine and Dine Half-Marathon in November. Which leads me to Resolution #3. . .
Somewhere Disney. If you know anything about me by now, you know that I need to feed my Disney addiction with a yearly trip. Dan and I are celebrating our 5 year anniversary this year and are planning either a long weekend getaway to the Food and Wine Festival in November or a short DCL trip in October. Continue blogging and interacting with the social media community. 2014 was a first for me with beginning a blog and actually using Twitter. I've had an amazing time connecting through these outlets and hope to build my skills and followers in the year to come. If you don't currently follow me on Twitter, please do @dsnyrunrgrl. I've also applied to host a #DisneySide @ Home Celebration and submitted my interest to be selected for the #DisneySMMoms On the Road Conference - fingers crossed! And hopefully I'll make it past R2 in the Disney Parks Moms Panel Search this Fall.